Your reviews are the key to enticing new customers so it’s important to use multiple avenues to get them seen on the internet. 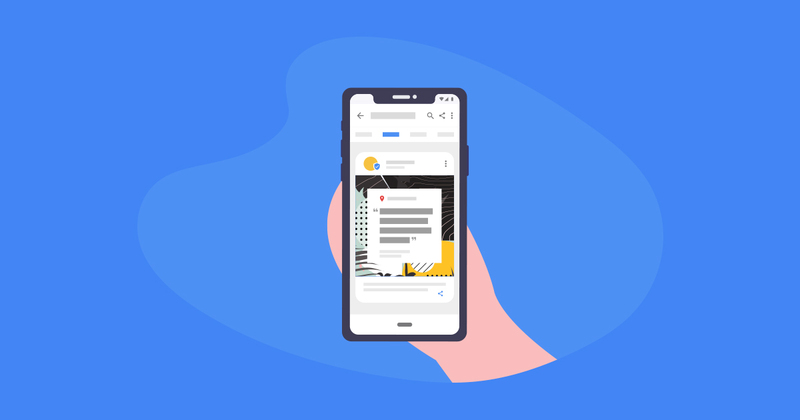 Choosing Small Thanks with Google to put them on social media or up in your brick and mortar location is one we highly recommend. Potential customers are everywhere. They may have followed your Instagram page because they love looking at your #FoodPorn photos. Or maybe your CrossFit gym photos inspire them to want to do CrossFit one day. Perhaps your Tweets and Facebook posts are inspirational or hysterical and help some poor employee somewhere keep going throughout the day. The point is that your content can draw in an audience that might not actually consider visiting your store or making a purchase even if they need your services. That is until they read a review that tells them about a solution to a problem they didn’t realize you could help with. A review can change everything. Someone following only your social media page will never see it unless you post it. Additionally, putting your reviews on social media provides the social proof needed to nudge other customers to leave their own reviews. So posting your reviews on social media not only gets you more customers, it also gets you more reviews. The trick is posting them in an appealing way. This is where Small Thanks with Google comes in. It’s a service provided by Google that will automatically generate social media images as well as printed posters and signs using your best reviews. The service is free to use so it will cost you nothing unless you choose to print. 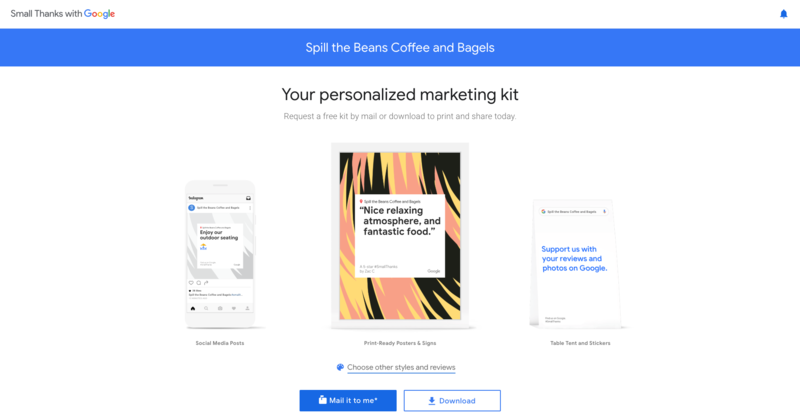 To get started, all you need to do is enter your business name on the home page and then download the kit that’s automatically generated on the following page. If you want to customize your kit, choose “Choose other styles and reviews” under the photos. On the next screen, you can choose the review to replace the auto-generated one. If you don’t see what you want there, load more using the link at the bottom. After that, choose the style and color that best matches your brand. 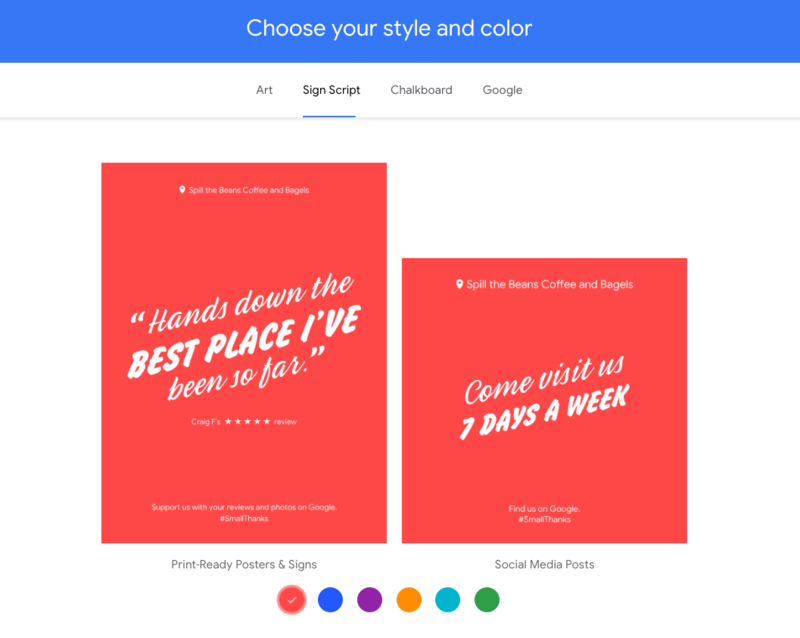 You can choose for the reviews to look like Google reviews or change the style to art, signscript, or chalkboard. Google comes out with new styles often, so check back and create more social media graphics with your newer reviews. You can also sign up for their email list to get notified when they add new tools and designs. Subscribe for additional review marketing tips, including how to use social media in your strategy, and more. 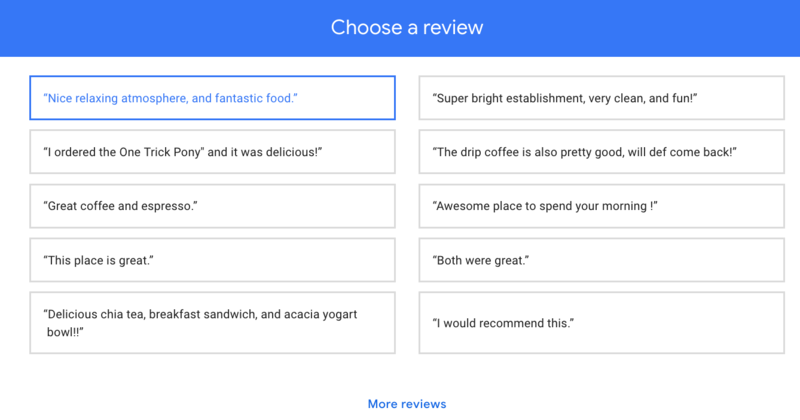 While there is no direct comparison to Small Thanks with Google, you can always create your own design to share your reviews as social media posts or in-store signage. The trick is the design. If you have a graphic designer, they can use the tool of their choice to create your review sharing templates. Some popular tools are Photoshop, Illustrator, and Sketch. But ultimately the tool will be decided by the preference of the designer. Alternatively, if you have no design skills or the resources to hire a designer, we recommend Canva. Canva is a great tool to create nearly any kind of media content you might need. They have templates for all kinds of things including social media posts and printable materials. However you plan to share your best business reviews, make sure they look great. How are you sharing your reviews? We’d love to hear how you share your reviews. Leave us a comment to let us know how you like to showcase compliments from your customers.